Looking to find out more about roles within our branches? With over 300 branches across the country there are plenty of opportunities in retail. We have part time and full time Retail Assistant roles as well as Supervisor and Assistant Manager positions. We are committed to developing our people and we only recruit Branch Managers and Area Managers from within. 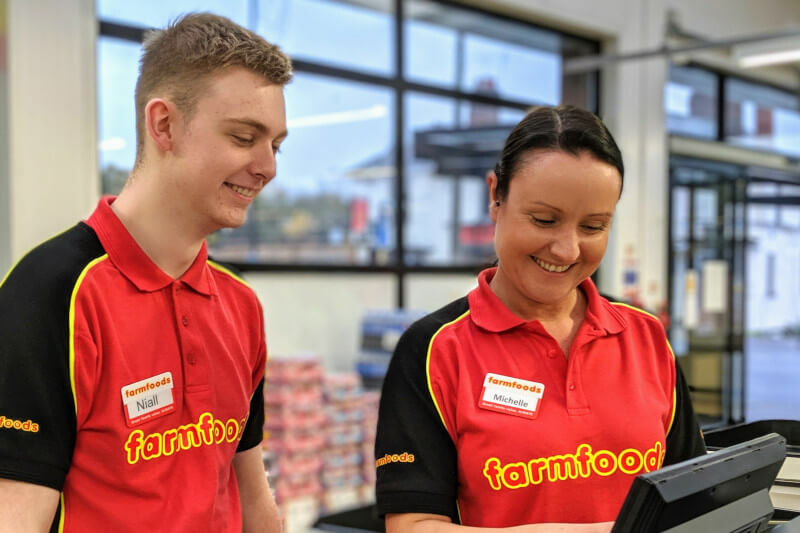 At Farmfoods everyone is responsible for the success of their branch, our teams are 'multi-skilled' and do a bit of everything. 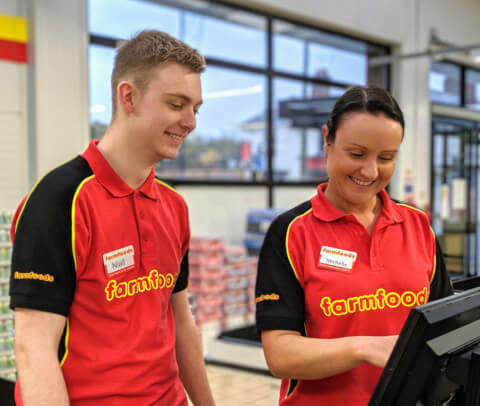 There's variety in all of our retail job roles, find out more below. There’s always plenty to be done in branch and our Retail Assistants are in the thick of it. They are fast and friendly people who enjoy the buzz of retail and working with their team to get the job done. 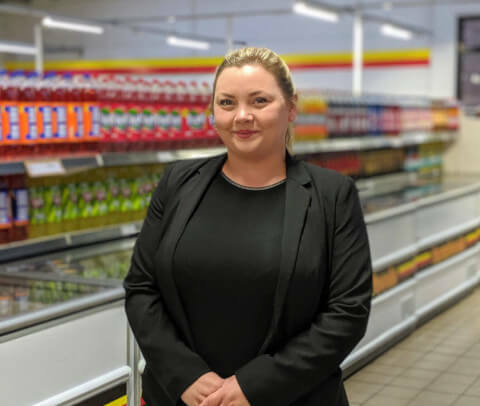 It can be tough at times as they balance the responsibilities of keeping the shelves and freezers full, keeping the shop clean and tidy and most importantly, doing whatever it takes to ensure their customers are happy. It's fast paced and can be demanding but that's what retail is all about! 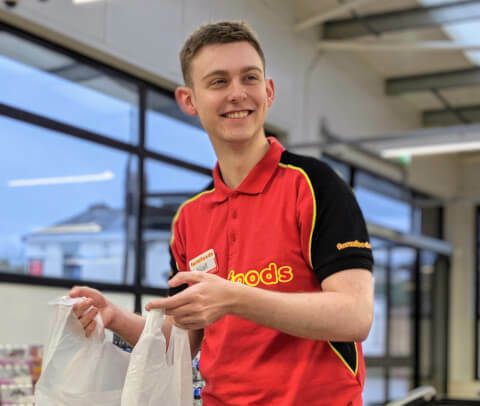 We reguarly recruit for full and part time Retail Assistant roles with a variety of different shift patterns. Process is vital to the smooth operation of our branches. 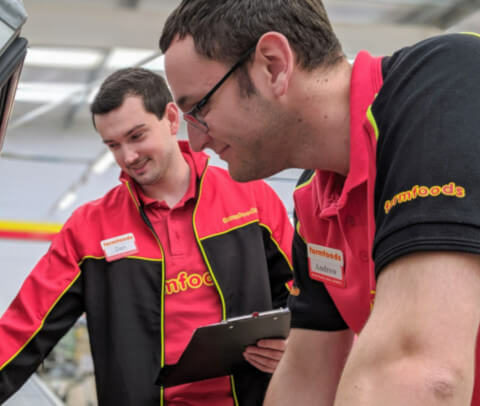 Our Duty Managers support the Branch Manager in the day to day running of the branch and ensure that all routines are followed so that their customers have a great shopping experience. We recruit Supervisors on a full and part time basis and Assistant Manager positions on a full time basis. As the leaders of their team, our Branch Managers are trusted to make decisions to improve their branch and support and develop their people. Being accountable for the performance of their team and branch is a big responsibility but our Branch Managers are well trained and recruited from within, so they are more than up to the challenge. Our Branch Manager positions are filled internally however if you are a graduate, service leaver, or someone with previous management experience our Management Development Programme is an excellent route into branch management in just nine months. Find out more. Our Area Managers support their Branch Managers to develop their teams and improve branch performance. It’s a varied and fast paced role which offers real responsibility and plenty of challenges! We only recruit Area Managers from within. The best route in is via our Management Development Programme. Our Management Development programme is open to graduates, former armed forces and those with one years management experience. Find out more here. We don’t look for qualifications when recruiting for retail positions, we look for a good personality and positive attitude. All applications must go through our website, jobs.farmfoods.co.uk, or click the search and apply now button. 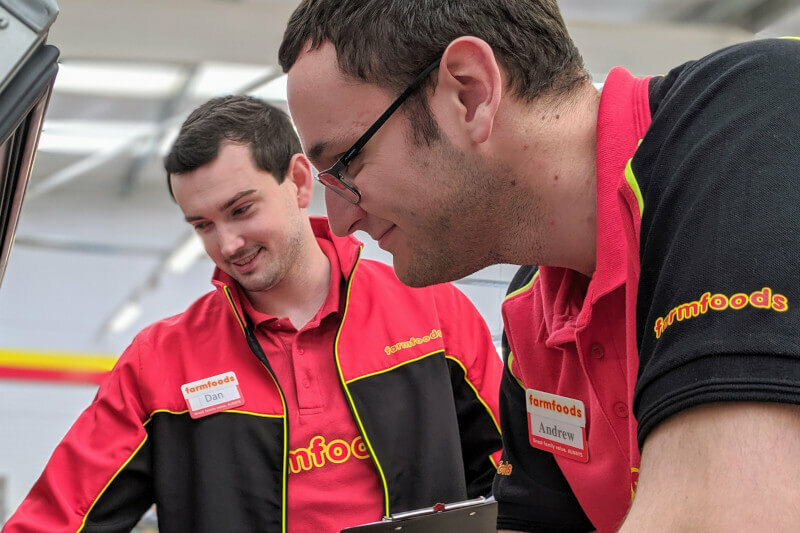 Yes, all of our retail team members complete our award winning internal training programme and there’ll be continued support from your colleagues in branch. After submitting your application you should expect to hear from us within 4 weeks but in most cases you will hear much sooner than that (usually within 2 – 3 weeks).